Thanks for putting up this photos. I truely believe that MJ was a good person may he rest in peace. Michael lived such an unfair life. He had to grow up before his time. All he wanted was to live his childhood through other children. It is funny that so many are saying that they didn’t believe the stories that cost him so much. Everyone needs to support someone when they are alive not just when they have passed. Michael was a wonderful person with a sad life. I just wished they would leave him alone now that he has passed away and stop with his past. Thank God not everyone’s past is brought up about them when they pass. What a seen that would be. A great person has gone on to a much better place where he can finally rest in peace. Your photos and story were beautiful. Thank you for giving me a glimpse of one of my biggest dreams…. I always said someday i would get to meet Michael Jackson, i just knew it… I guess i will still, someday, but untill then, I cannot tell you how much these pictures mean to me. Im ‘just’ a fan, just a 26 year old girl, who, since i was 4, was mezmorized by MJ. I Never had anyone close to me that shared my appriciation for him, always stuck up for him no mater what, and i just always believed that he was an amazing person. Thank you Thank you Thank you! 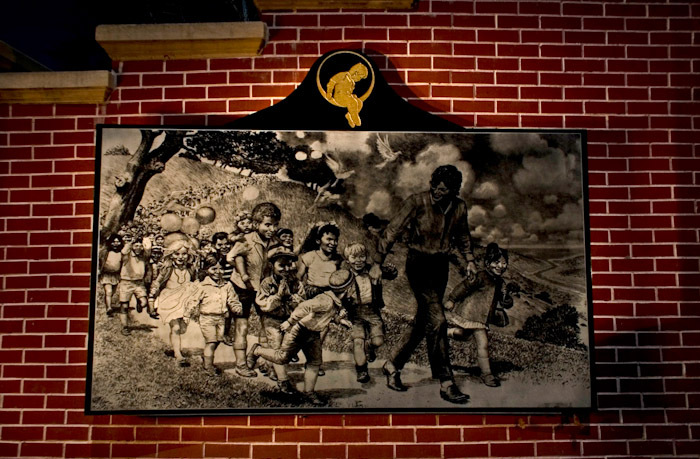 thanks for the story and excellent pics…it gives us a little glimpse into Neverland. I sincerely hope he was not guilty of what he was once accused (altho he did settle out of court for $22 million). he was peterpan……….man when i saw those neverland pictures i was speechless,michael jackson was the most innocent heart and soul ever….goodbye mj u will never be forgetten!!!!!! !